Escape to the magnificent Land Of The Waterfalls. One of the most spectacular views in all of North Carolina! 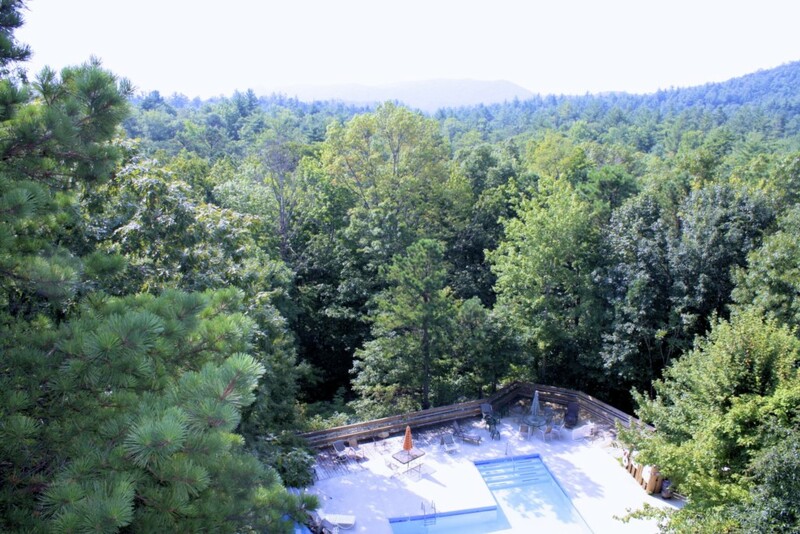 At 3,300' elevation, this mountain top condo features unobstructed wide - range views for 125 miles…..all the way to South Carolina! 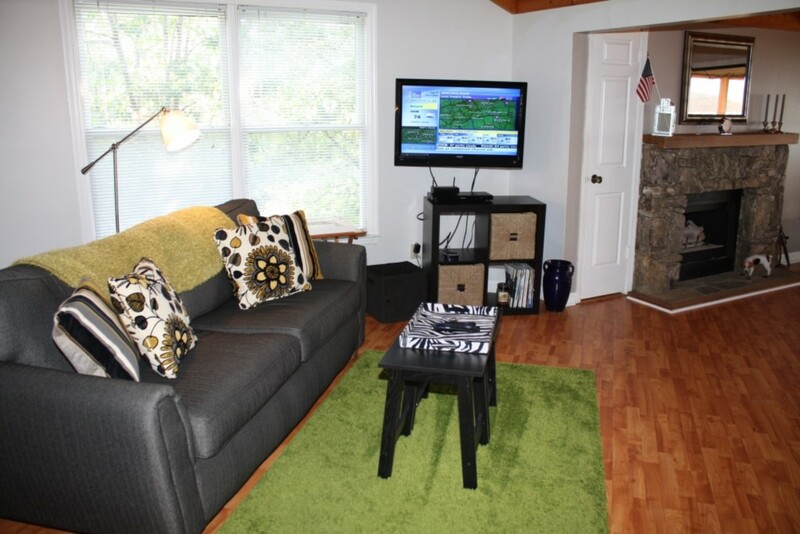 This newly remodeled 1 bedroom 1 1/2 bath is big on both space and style. 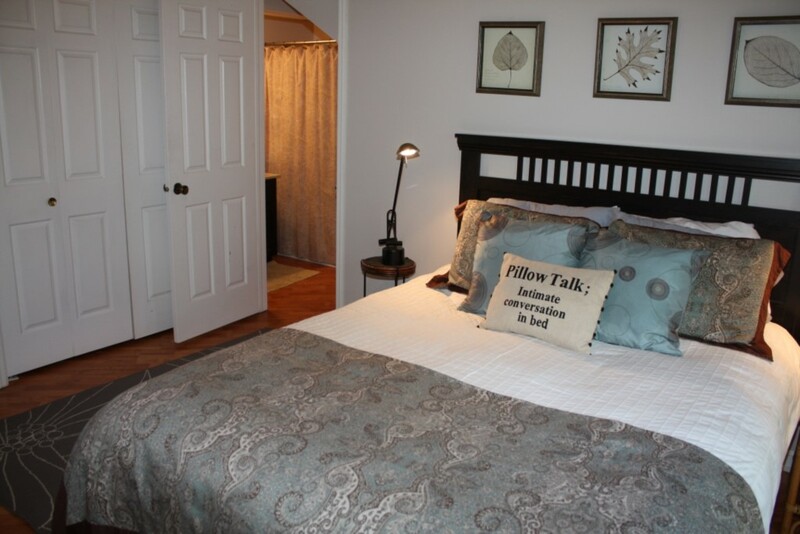 Completely furnished- including linens, and kitchenware. 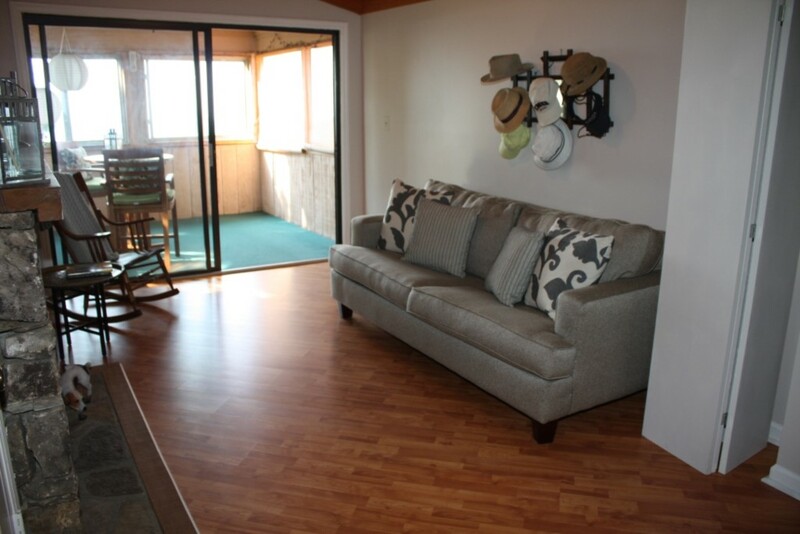 it comfortably sleeps 4 with king bed and two queen sleeper sofas in the living room. 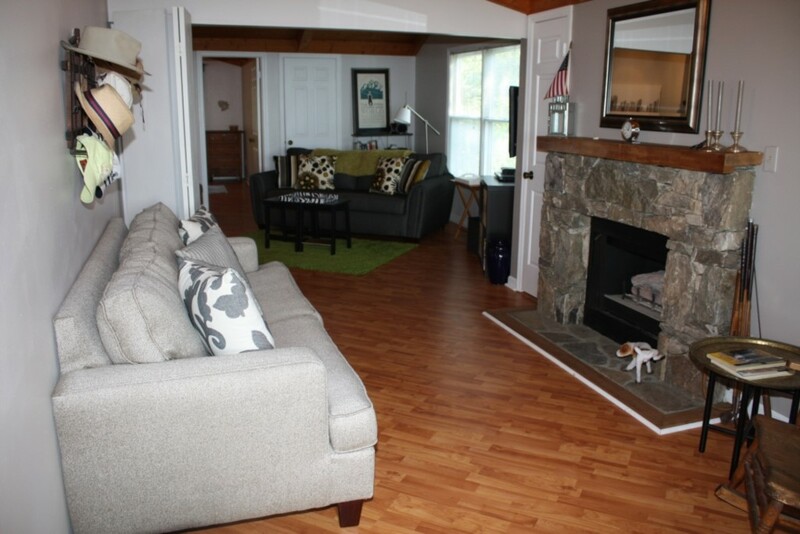 New wood floors, native stone gas fireplace, enclosed porch. 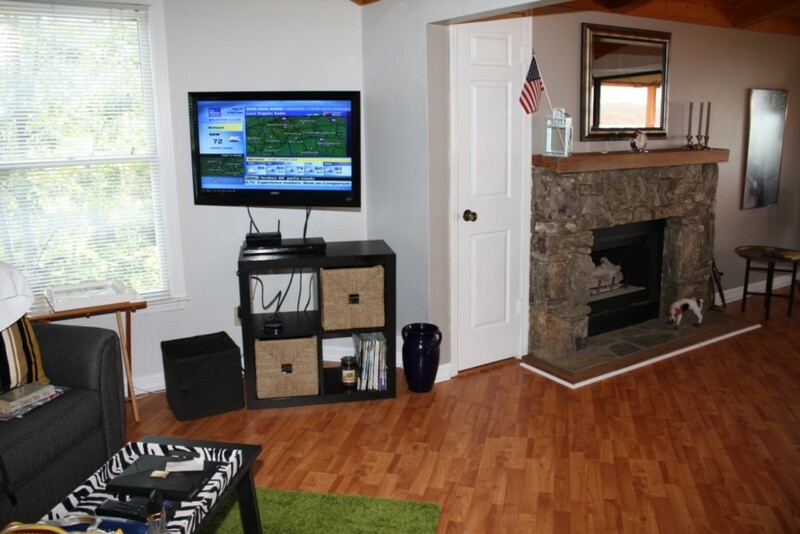 A large flat screen television and blu-ray, stereo, hi-speed internet access, plus a collection of books and magazines and games. 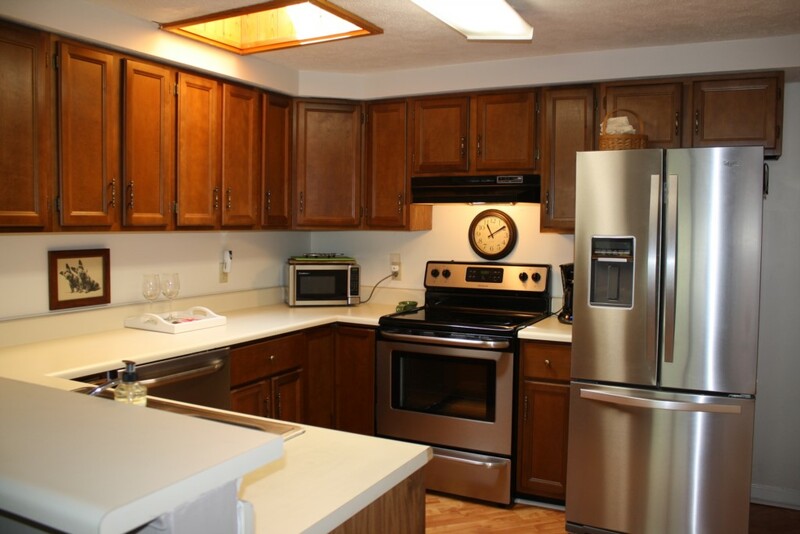 Fully equipped Kitchen, Dishwasher, Refrigerator, Washer & Dryer Garbage Pick-up Central heat & Air Conditioning. 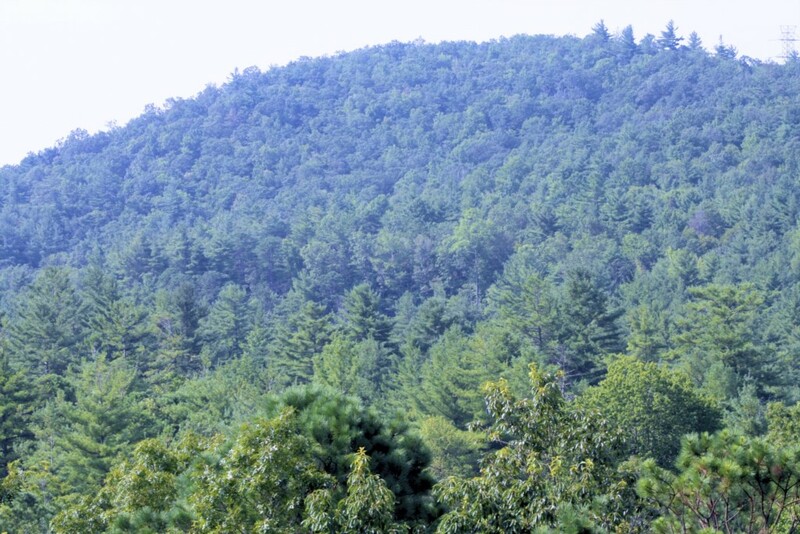 Hike in the Blue Ridge Mountains just in your back yard. 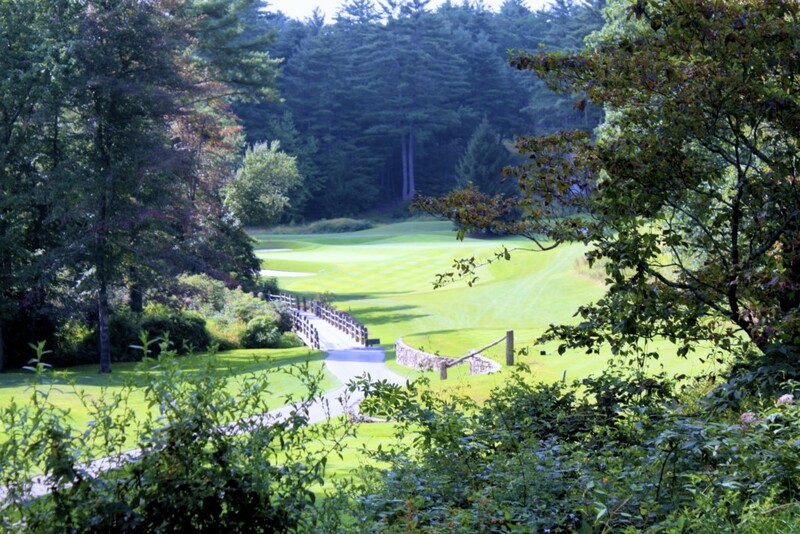 Activities on site or nearby: Hiking, Rock Climbing, Biking, Golf, Fishing, Hunting, Wildlife Viewing, Horseback Riding, Shopping, Antiquing, Arts & crafts shows and galleries, Fantastic Restaurants, Live Theater, Cinemas, Sightseeing, Swimming, Rafting, and Downhill Skiing. 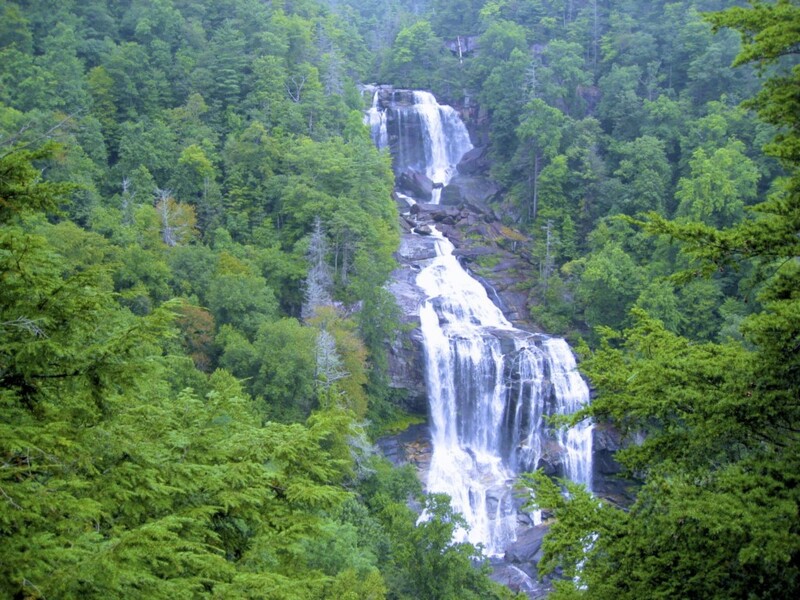 The surrounding area known as "Land of the Waterfalls" has approximately 250 waterfalls. 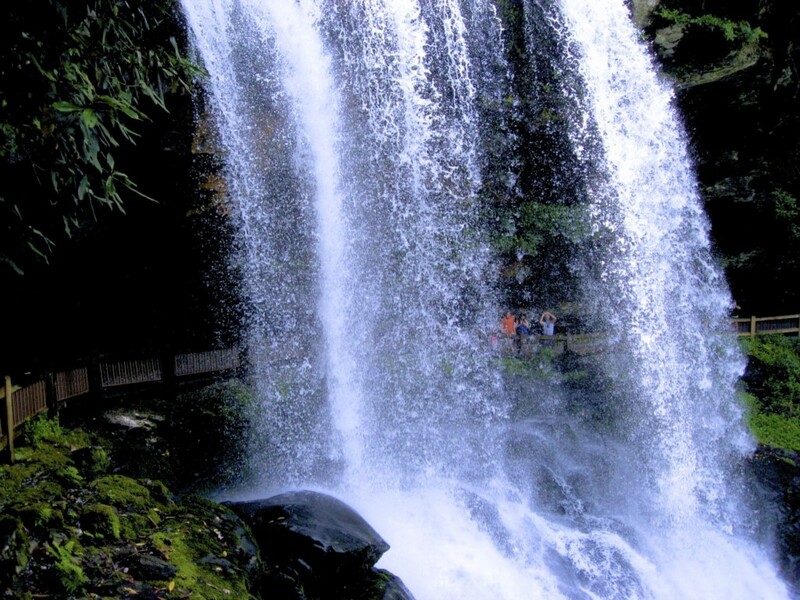 For the hiking and biking enthusiast, Transylvania County has 2 State Parks and a National Park; Gorges State Park, Dupont State Forest, and the Pisgah National Forest. 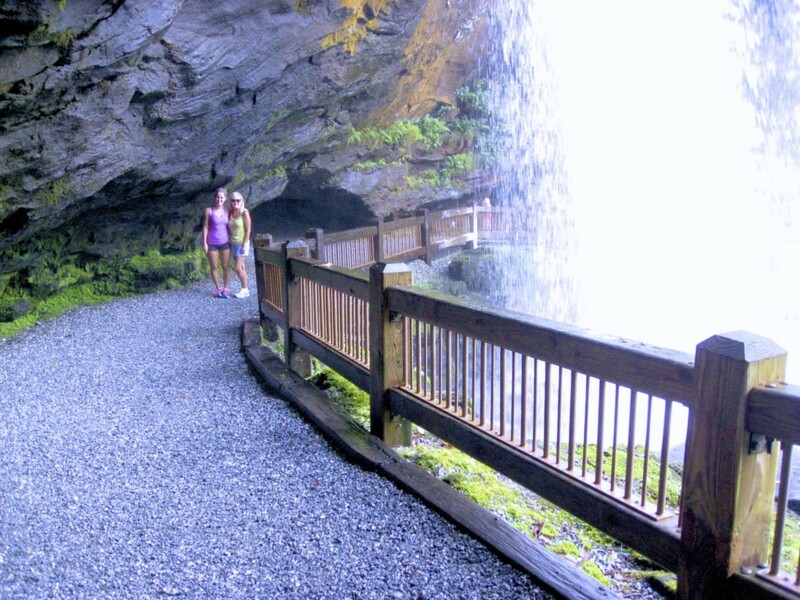 The Gorges State Park has an entrance to the east and west of Lake Toxaway in Sapphire and Rosman; it is the most challenging of the 3 Parks for hiking, biking, and horseback riding. 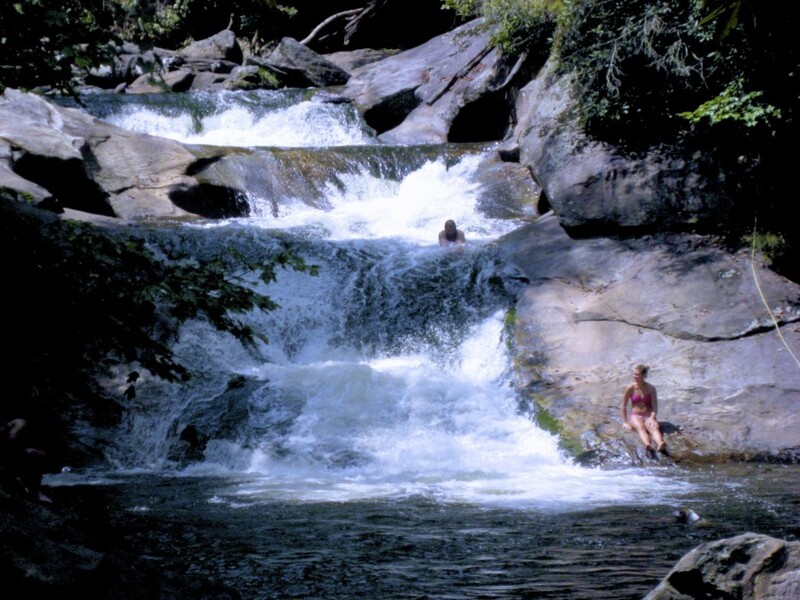 The Pisgah National Forest has approximately 180 miles of hiking and biking trails, and 100 miles of horseback riding trails. 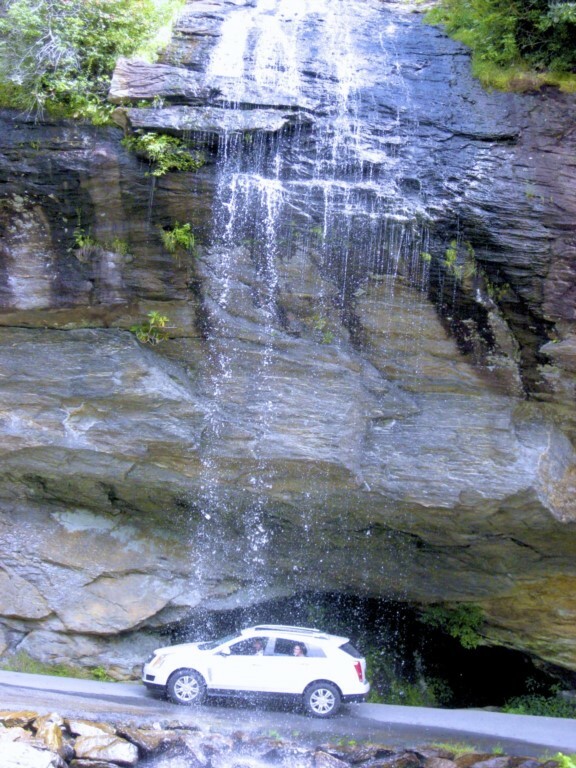 It also has camping, fishing, hunting, and Looking Glass Falls – the most photographed waterfall south of Niagara. 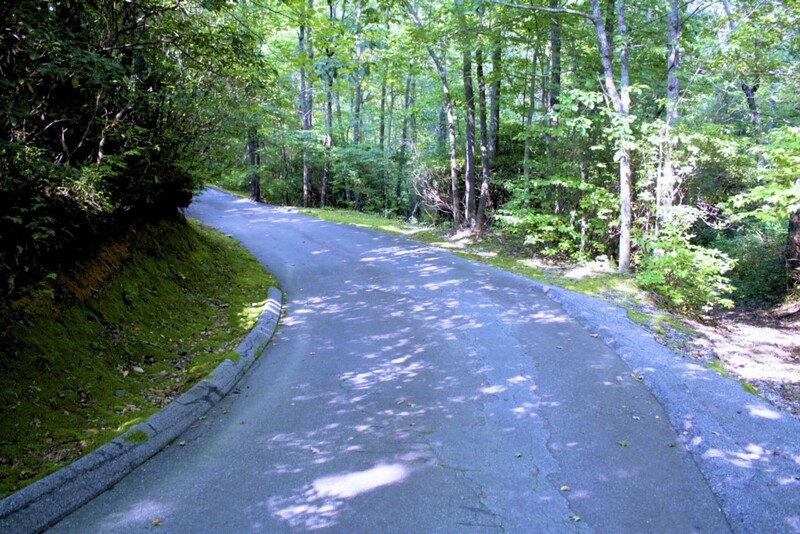 Panther Town Valley, which is part of the Pisgah National Forest, adjoins Lake Toxaway Estates. 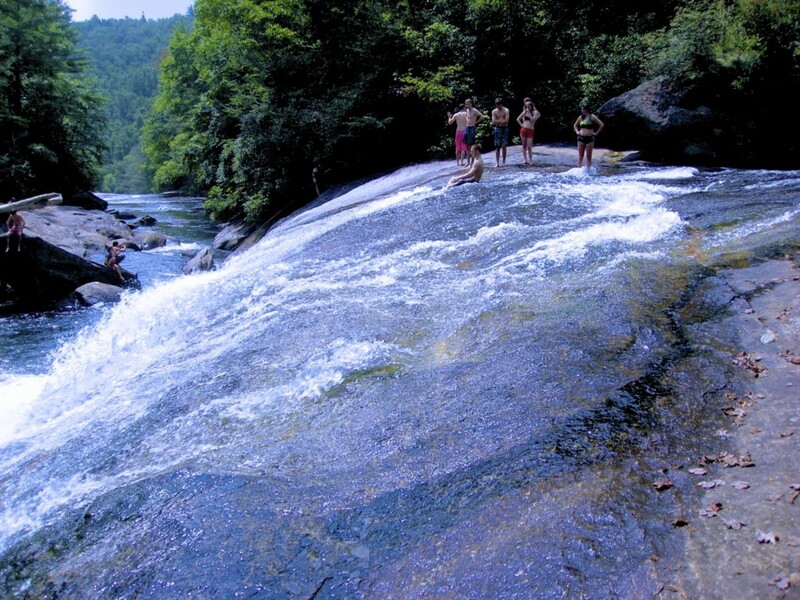 Dupont State Forest has 85 miles of trails for hiking, biking, and horseback riding. World Renowned Fly Fishing Guides from Davidson River Outfitters operate in the State & National Parks, and in trout streams in Lake Toxaway. 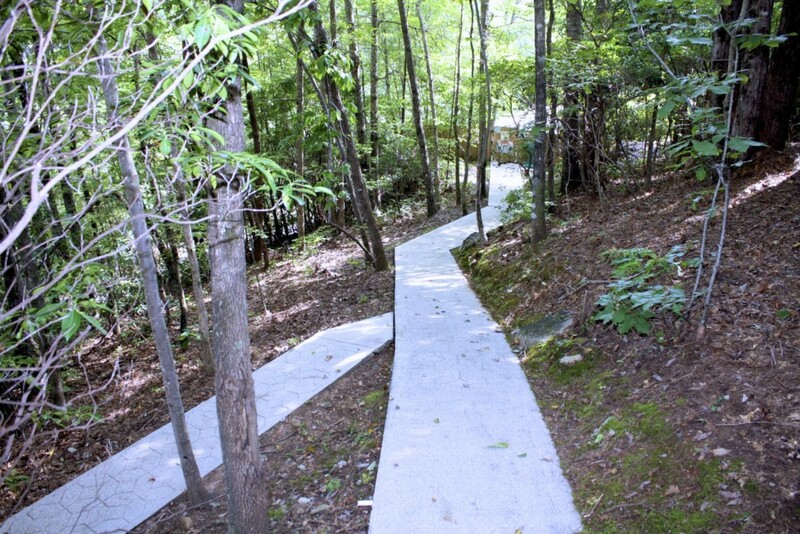 Transylvania County is called, "Camp Country USA" for its Mecca of summer camps. 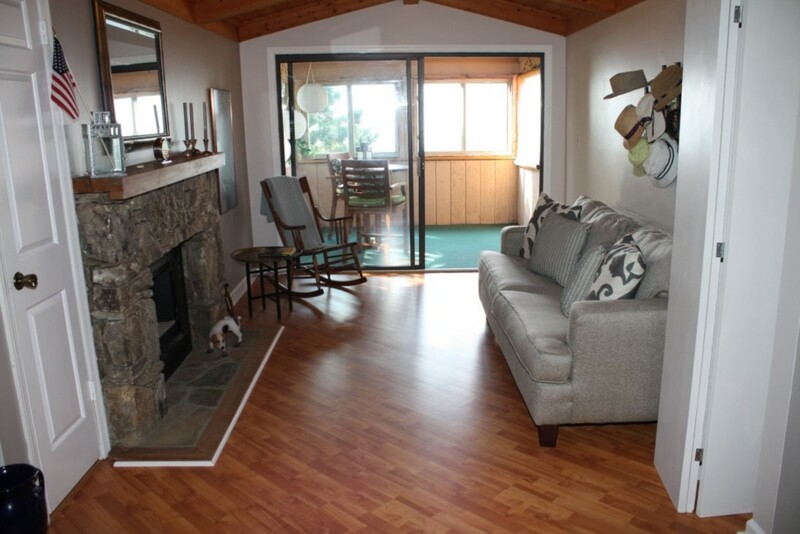 Clean, comfortable, with a beautiful location. Owner could not have been more helpful! Thank you for the awesome review and thank you again for being our guests. 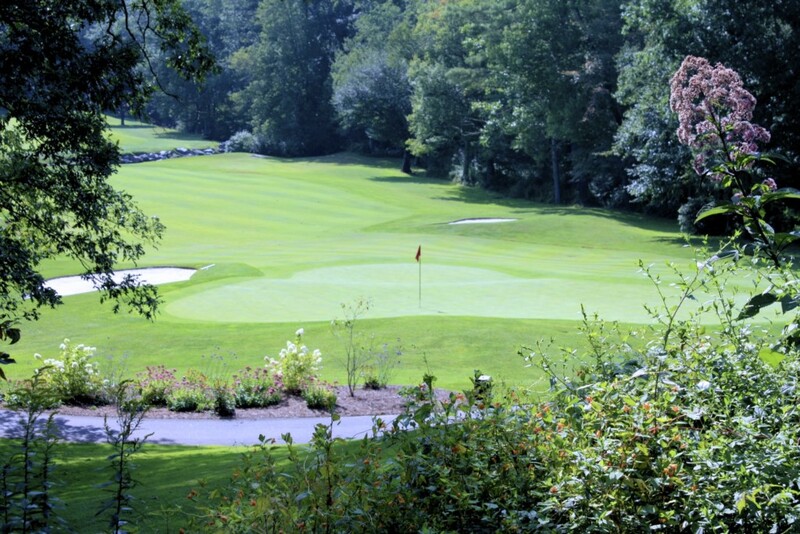 We hope you will come and stay with us again sometime soon. 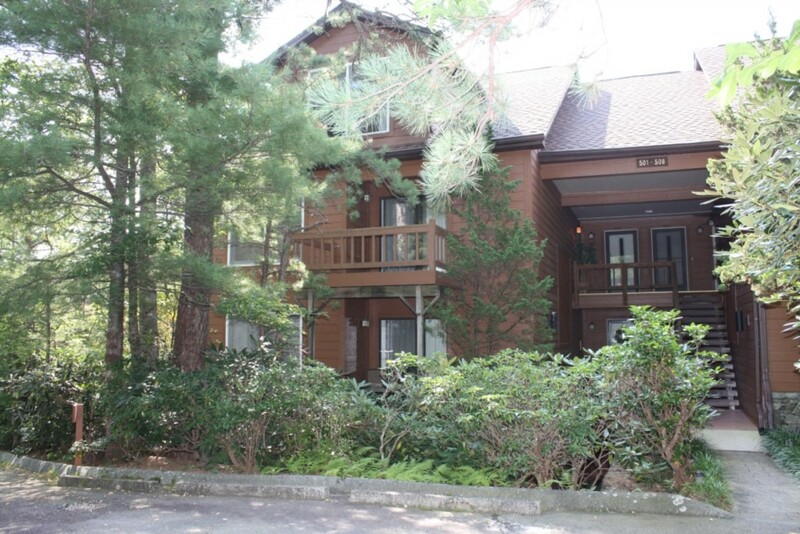 We loved the awesome mountain view and peaceful forest setting of this 3rd Story Condominium that literally borders beautiful Gorges State Park. I never got tired of hearing the crickets at night and awaking to the sounds of birds singing every morning. We hiked a trail behind the property that led to an upper branch of Bear Wallow Falls then drove a couple miles the next day to hike the awesome Rainbow Falls and Turtleback Falls Trail at Gorges SP. 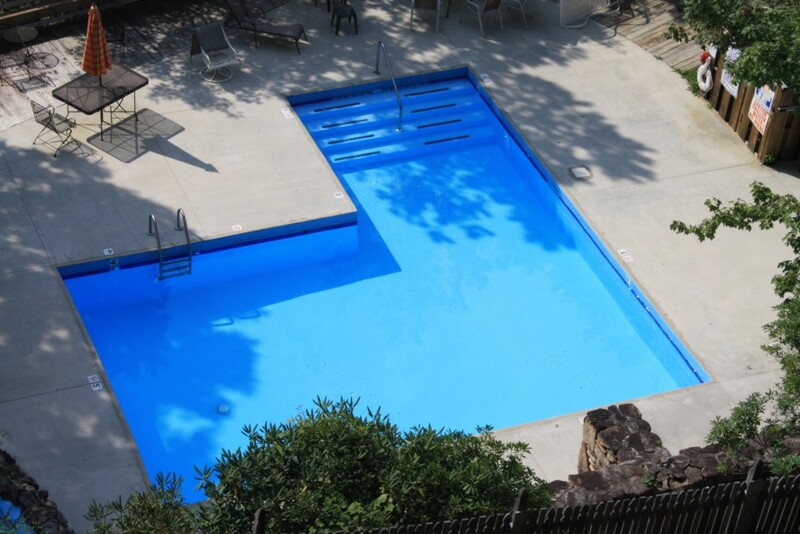 (Bring your bathing suit! :) We spent another day at nearby Dupont National Park (30 miles); another must see and do! 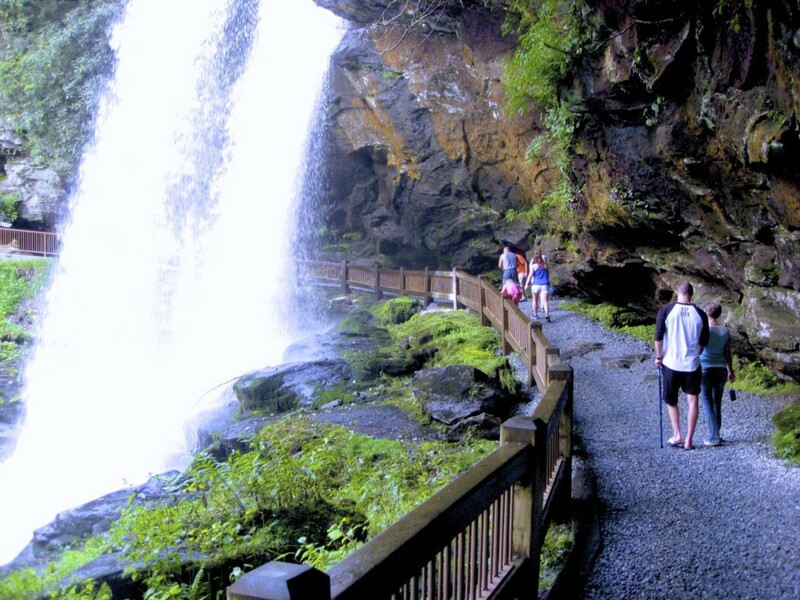 You won't find more beautiful falls than Triple Falls and Rainbow Falls. 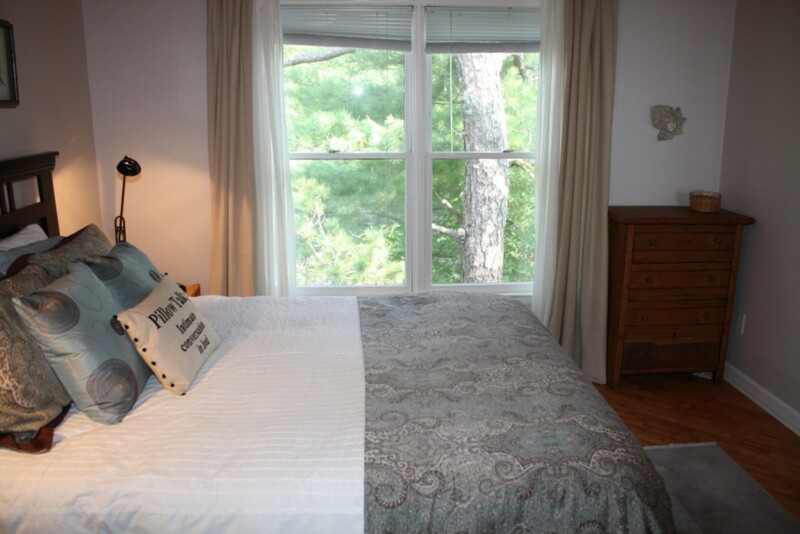 The unit has a well-stocked kitchen with an generous supply of dishes and linens, bath towels, pillows, blankets, and soft bed sheets :). Plenty of reading material abounds. 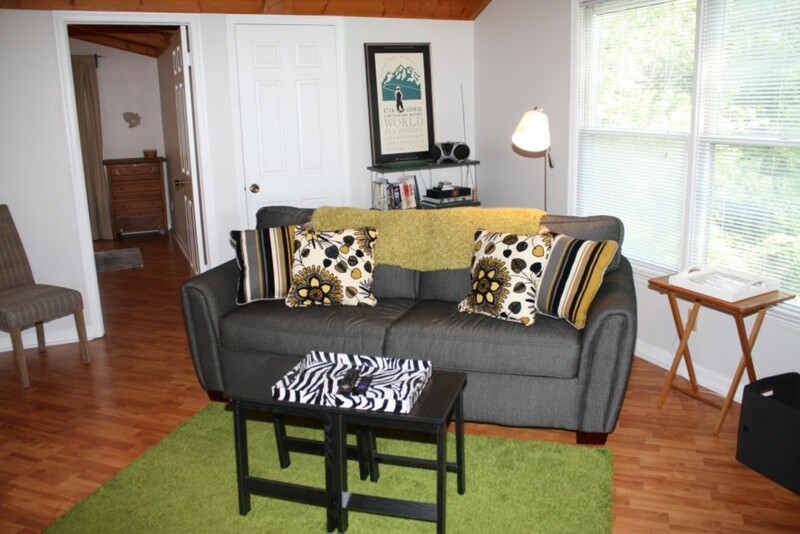 The furniture is a bit dated but the many toss pillows made it more comfortable. They even provided night-lights and a flashlight, and a yoga mat that enabled me to do my floor exercises each evening. We met several neighbors while there and all were very friendly. 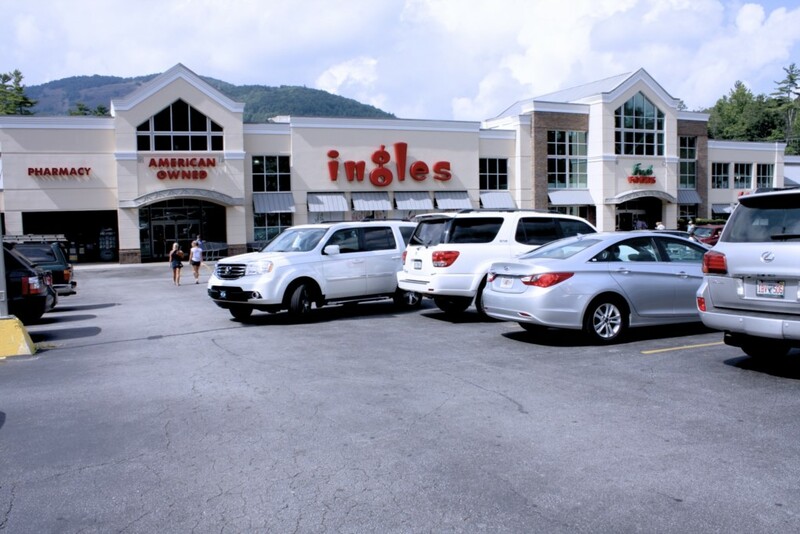 Ingles Grocery Store (with a great salad/food bar) is less than 10 miles away in Cashiers. 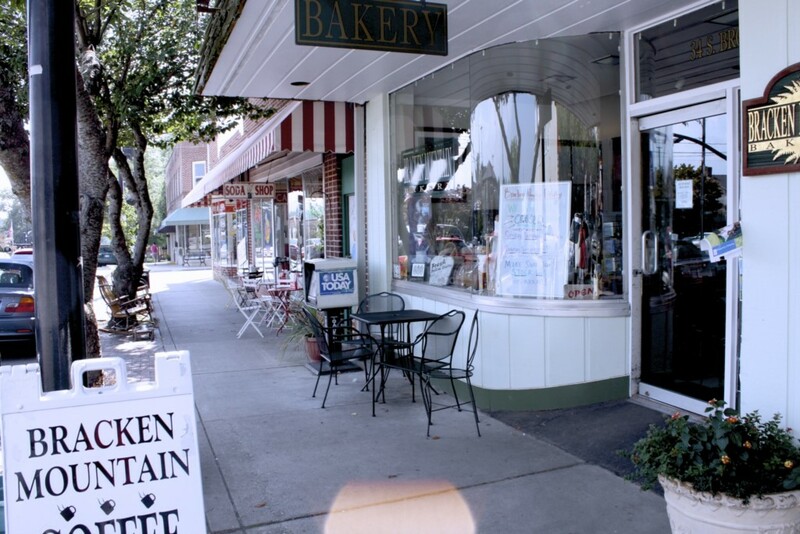 The best homemade pies are two miles away at the Sapphire General Store! 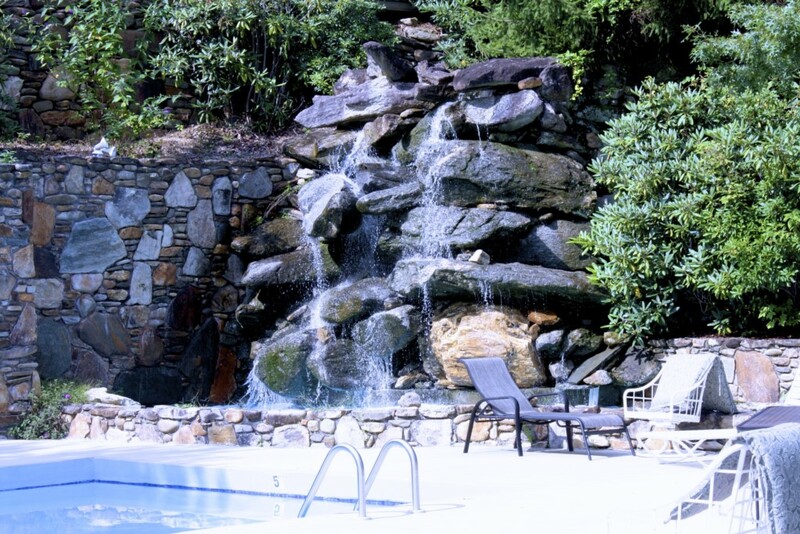 Our one disappointment was that the appealing rock waterfall and heated pool shown in the pictures functions only between Memorial Day and Labor Day. We missed it by a week. Still, for those who like the outdoors and don't mind the two flights of stairs (good exercise), this place is an exceptional value. We miss it already and hope to return again soon! Thank you so much for the awesome review and thank you again for being our guests. Please keep us in mind for your future travel plans we would feel fortunate to have you as our guests again. 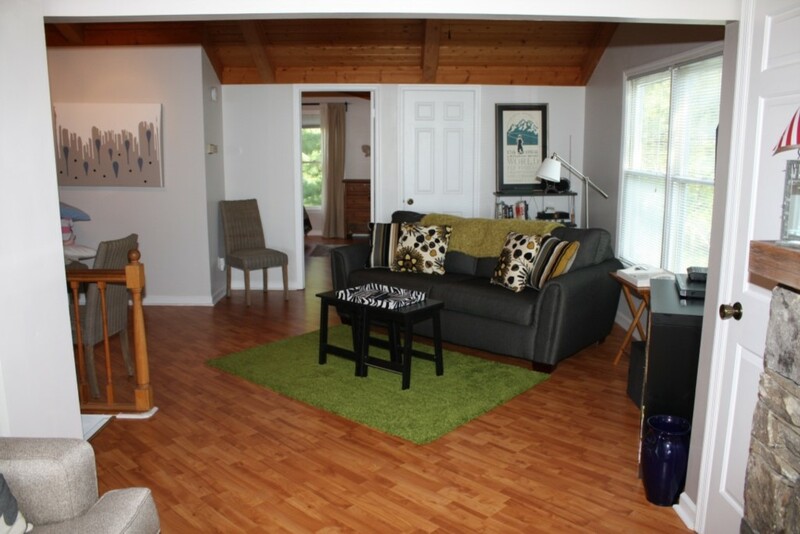 This condo is very intimate for a couple. The view from the porch is gorgeous. 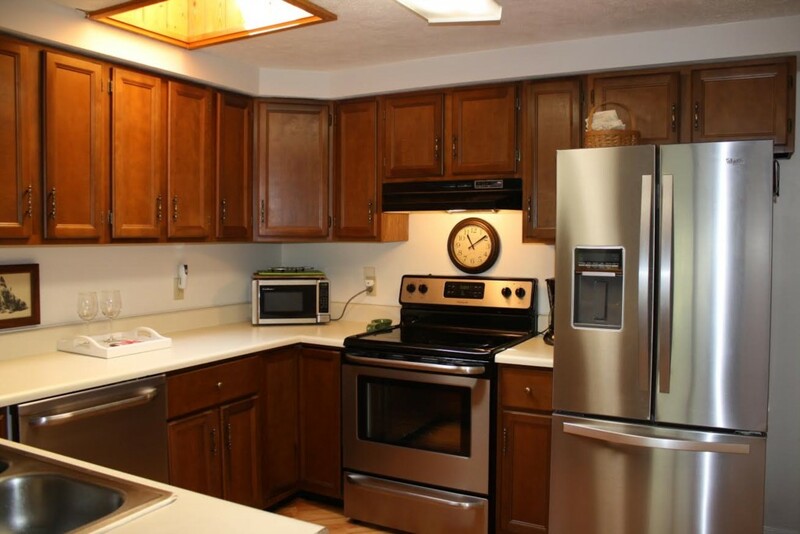 The furniture was comfortable and the kitchen was well stocked. 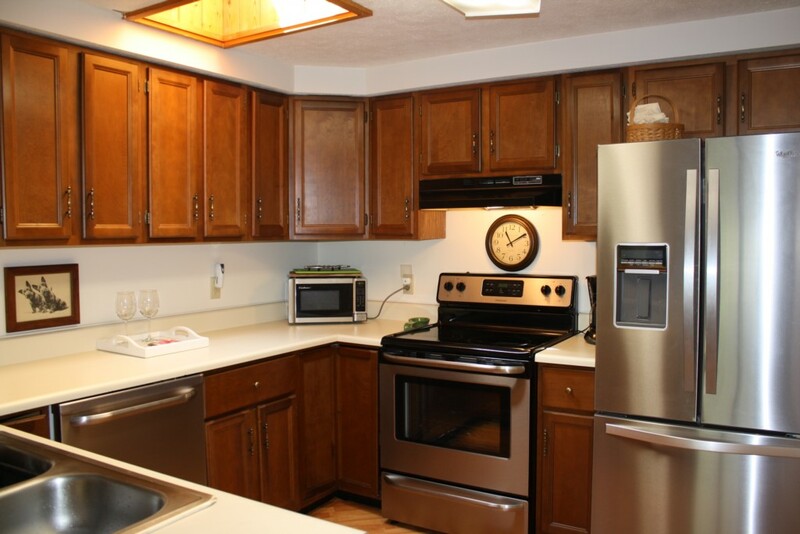 The condo was very clean and maintained and the property managers were great to work with. 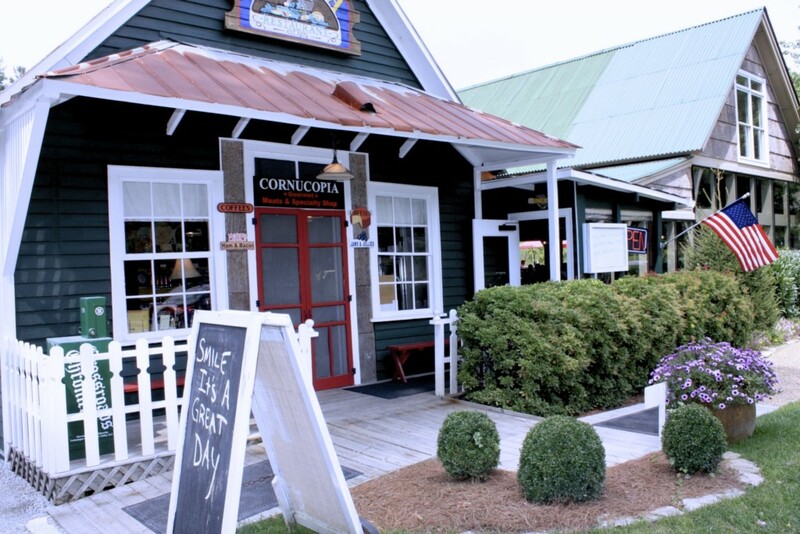 It is in a very central location and we day-tripped every day to see Western NC. We visited 10 waterfalls which were within 30 minutes to an hour drive. 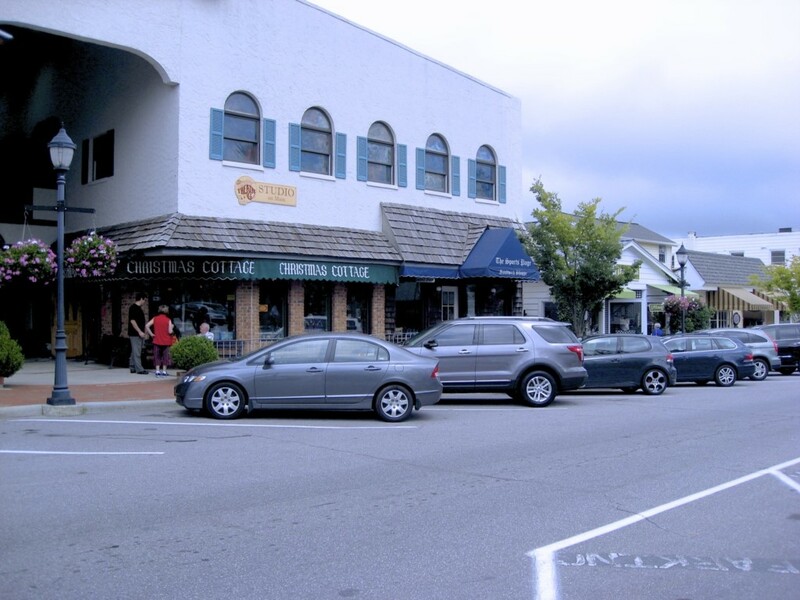 There are plenty of places to eat also within 20 - 30 minutes drive. 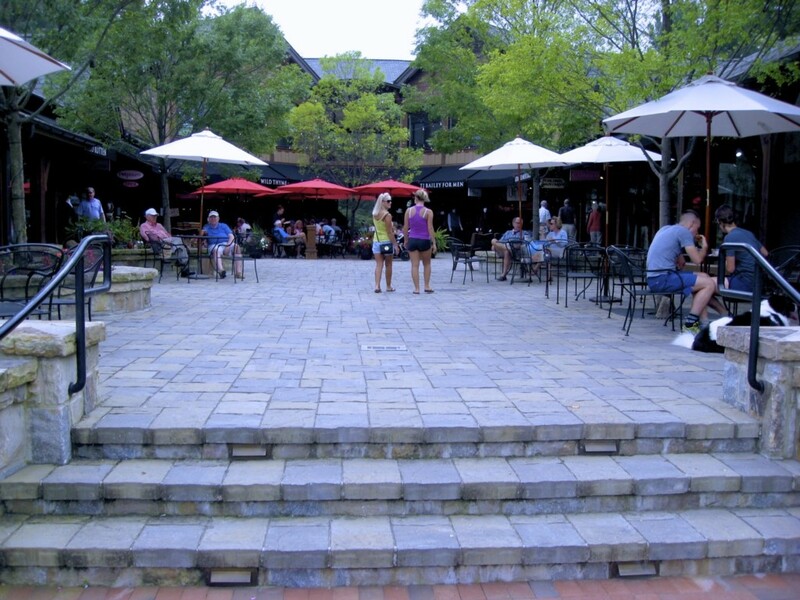 It is a very quiet place to relax and enjoy nature. 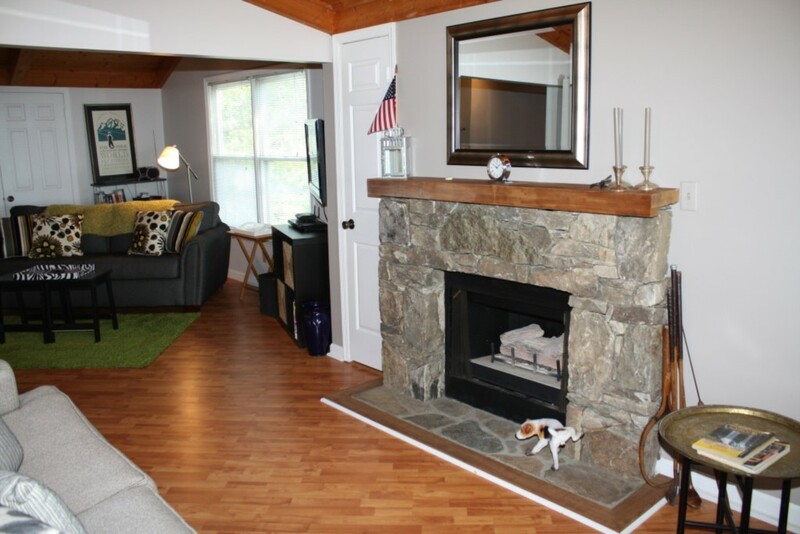 We definitely recommend this property but want to note that there are two flights of steps to enter the condo, one up to the second floor of the building and then another for this condo on the third floor. 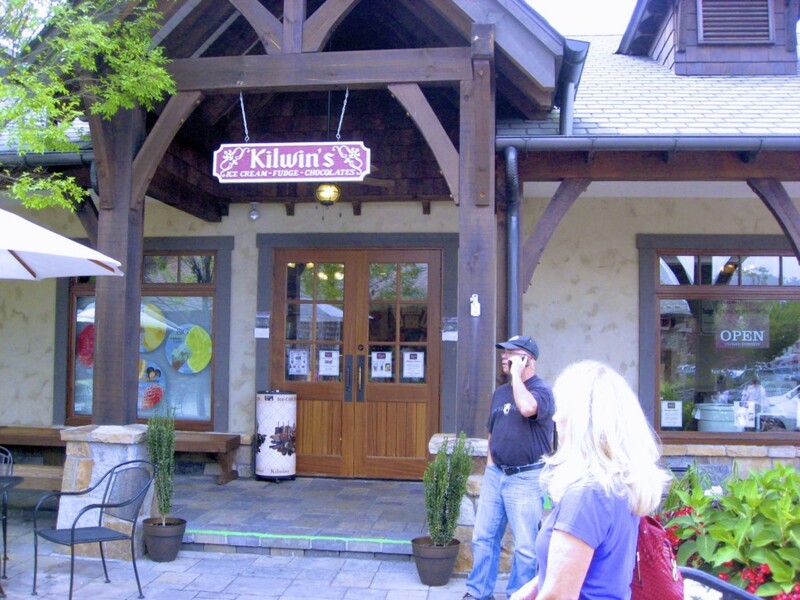 Wonderful place to visit, especially in the summer months when the temperatures there are in the 60's and 70's. My husband and I thoroughly enjoyed our time here. 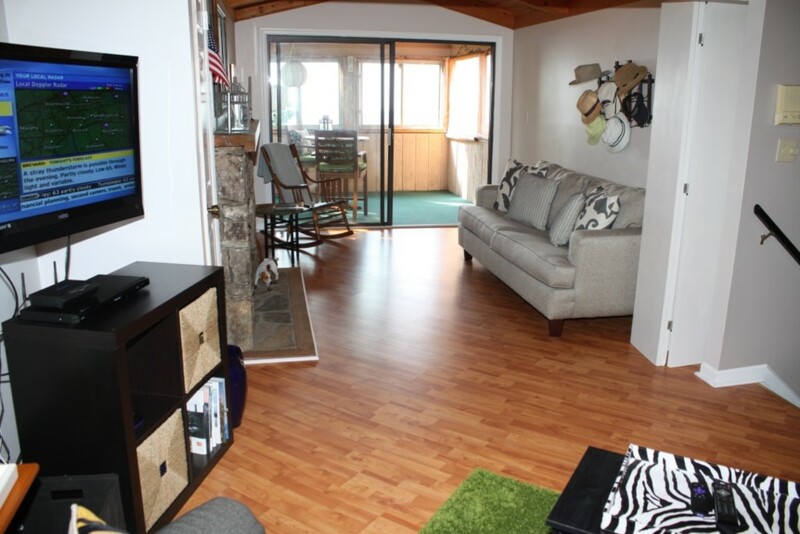 Absolutely stunning views, clean apartment, and very well decorated. 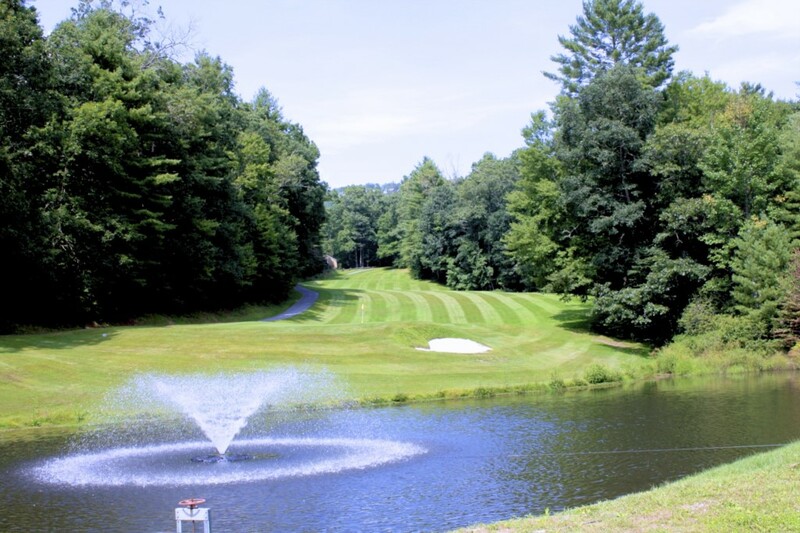 Plenty of fun things to do in town, with a brewery right around the corner, and beautiful golf courses surrounding the area. 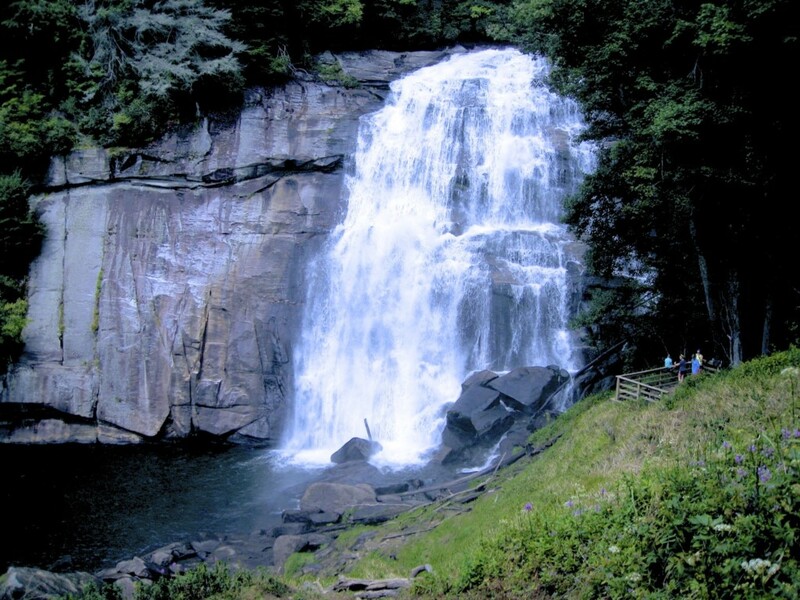 Only about a 20-minute drive to some hiking trails and waterfalls, and only about 30 to 45 minute drive to Asheville. And in the other direction about an hour drive to Maggie Valley. 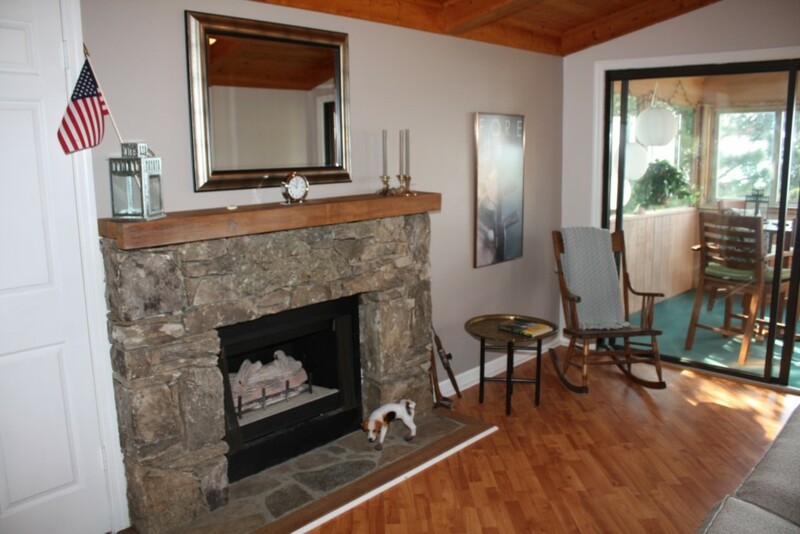 Enjoy your evening by a fireplace and a view. I highly recommend staying here! It was absolutely beautiful and a break from reality. 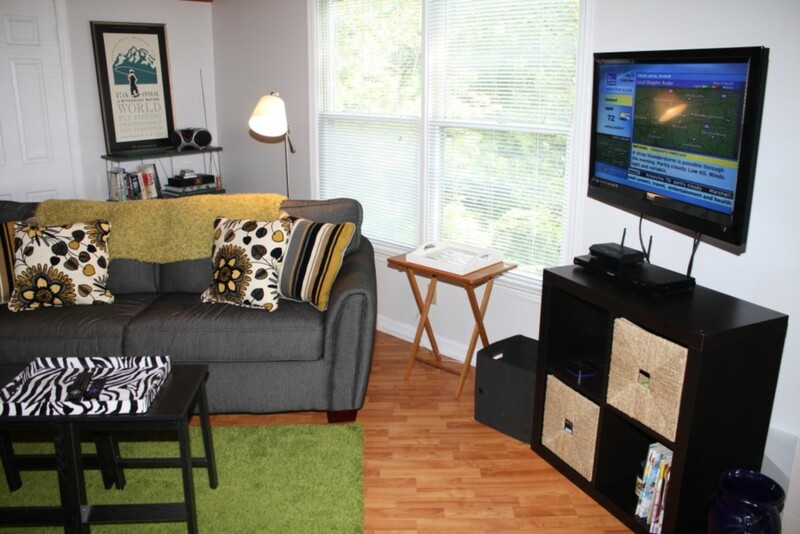 The condo was just as the pictures showed. 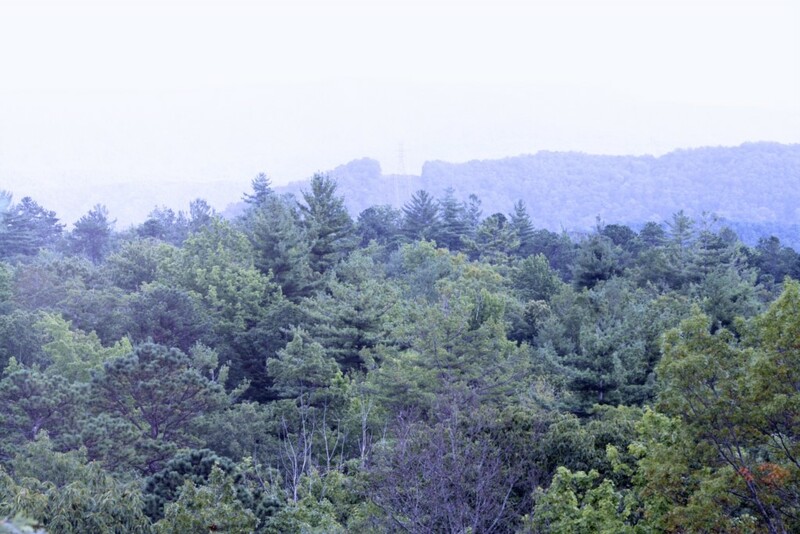 View off of the porch is as if you were seeing the mountains from another mountain crest. Just a gorgeous view! 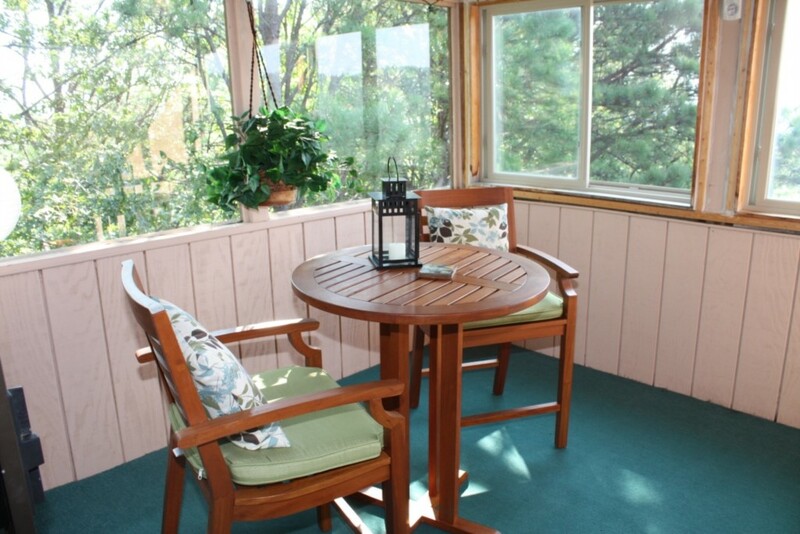 If you stand at the screened porch windows, you can look right down at the pool. No other condo building in the complex has this view. 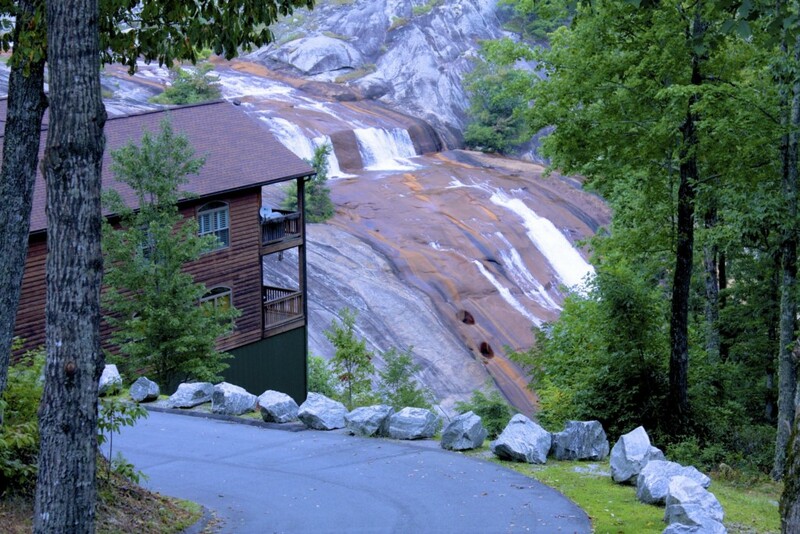 Toxaway is the perfect location for looking at waterfalls. 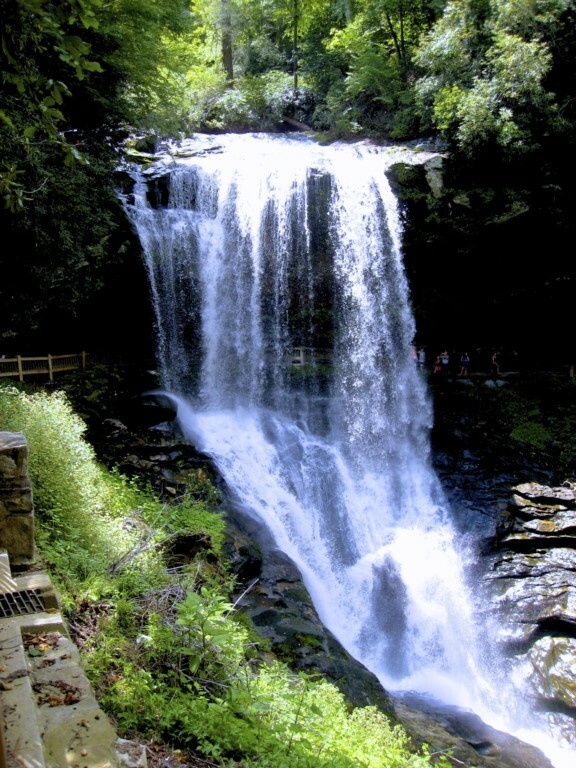 While there, I went to Toxaway Falls (very very close), Whitewater Falls, on my way saw Dry Falls, and then I also went to Brevard and saw Looking Glass Falls. Went to Bear Tracks local store and signed up for a tube ride down the river. Absolutely lovely area. 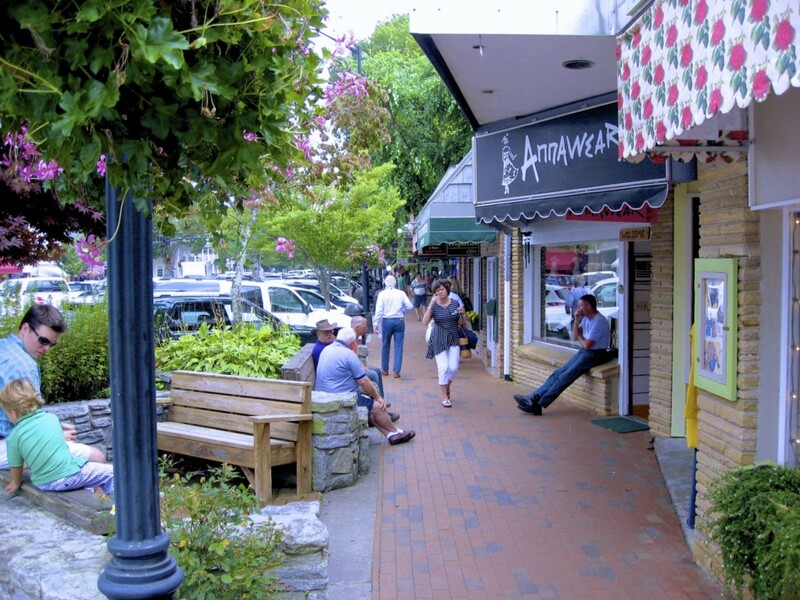 First time I'd vacationed in the North Carolina area. I want to return! Plan on walking up 2 flights of stairs to the "Bird's Nest." Note to those trying to find the condo: EASY ACCESS, right off of 64. 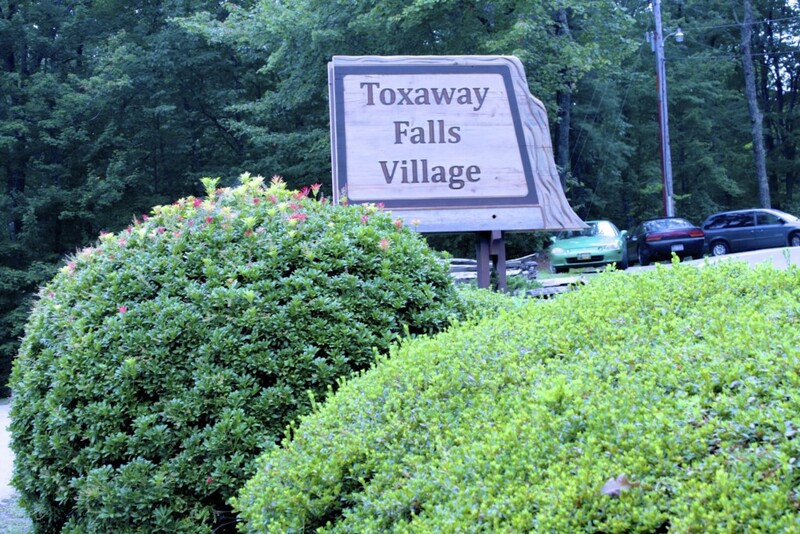 The condo community is called Toxaway Views, and the street name is Toxaway Views DRIVE (this was not in the lease agreement). All of the buildings have a stand up sign with numbers in front of them. The sign for this building (makes no sense to me) is 121, and underneath it says Building 5. To get to the unit you go straight into the condo complex, then take an immediate right, then continue straight, going up and up again. The large building numbers on the signs are not in any particular order, so don't depend on that to find your way. 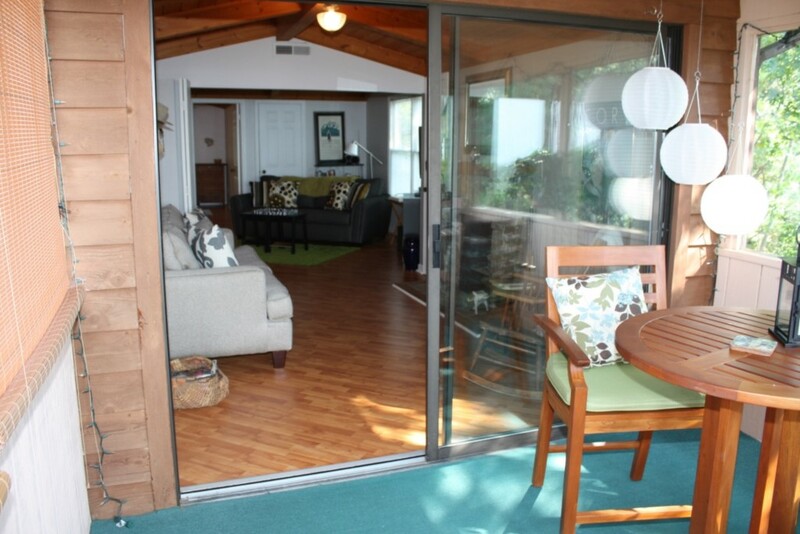 Not all rentals in this area have easy access. The roads wind around and some of the rentals in the area have extremely steep and difficult inclines for a car. This rental is literally right off of 64, easy to get back to, even in the dark. I appreciated that more and more as the days went on! 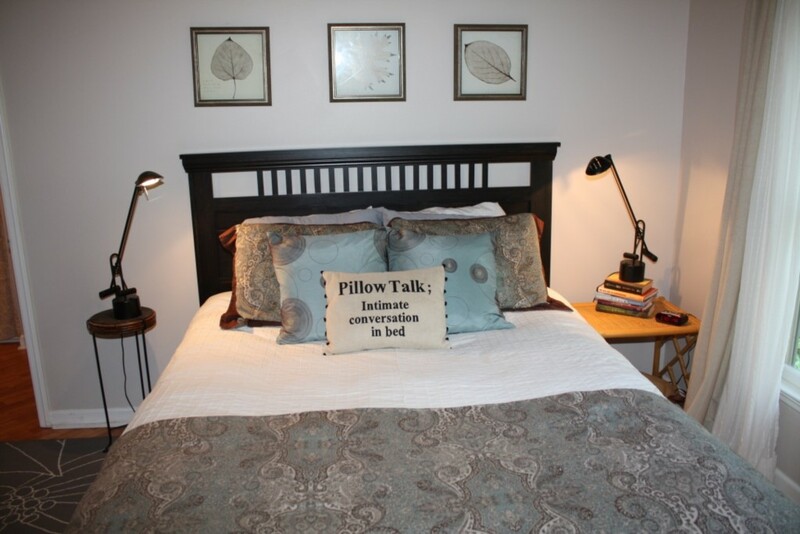 Thank you Terry for sharing this lovely condo! It was delightful! 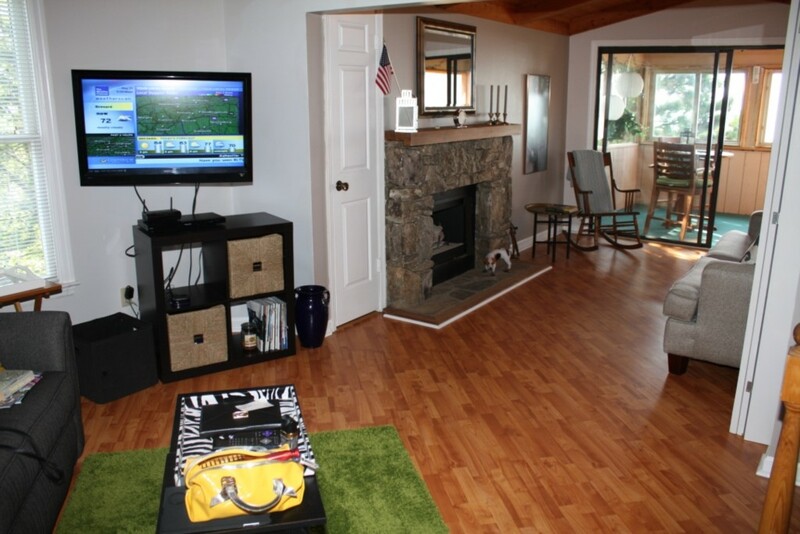 We enjoyed very much our stay at this condo, had all the amenities as stated in the writeup. 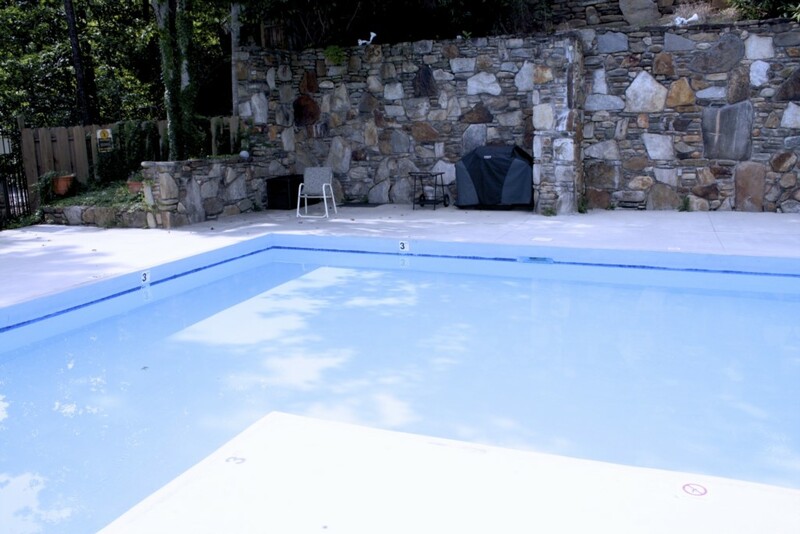 The area this unit is located is well maintained, very quiet and reasonably close to Cashiers that has several excellent restuarants. We were very fortunate as the weather was low 60's in the morning with high 70's to very low 80's afternoon..Wow! We stayed a week and this was too short will definately come back again. Best views in the neighborhood & cozy! This review is long over due! I had a long stay here over last winter & it was just what I needed! 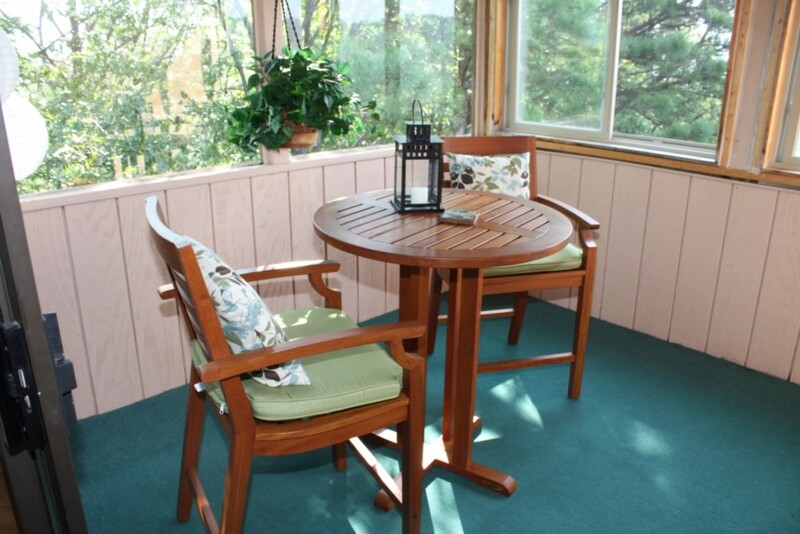 It's a nice, cozy little community & this condo truly has one of the best views in the area. 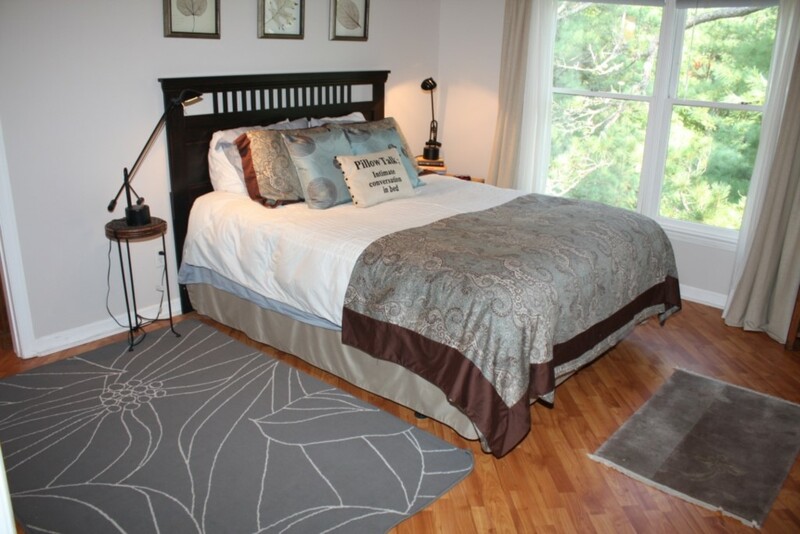 The condo was well equipped, very comfortable & cozy! 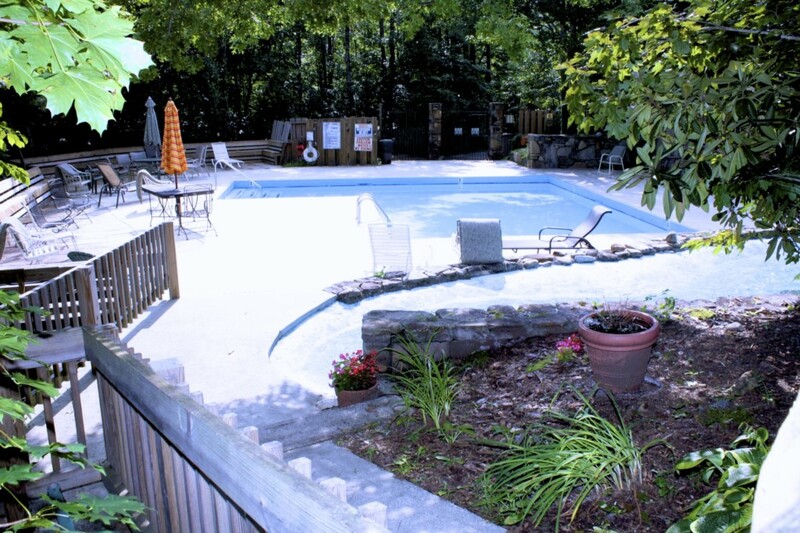 Terry & associates were responsive, accommodating & helpful where possible through my stay. Beautiful, Gorges State Park, is just around the corner with all the waterfalls and hiking one could ask for with Rangers around if needed plus much more beyond if you care to wander. Thank you Terry!